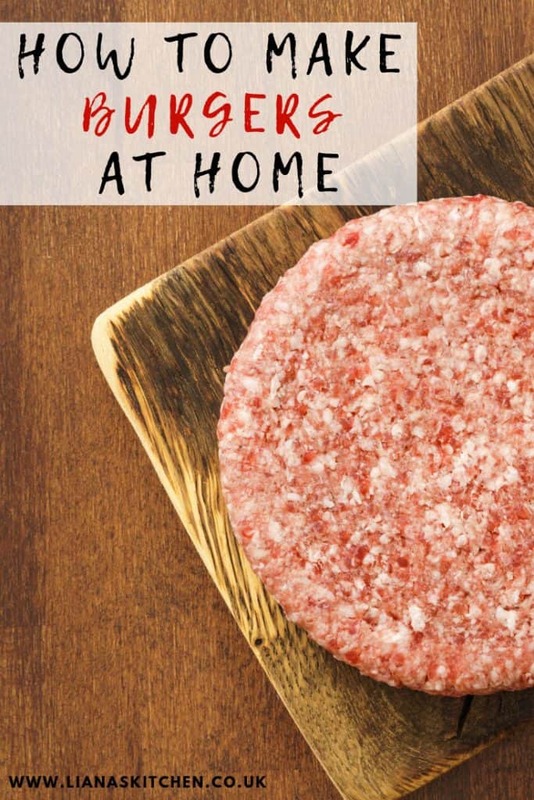 Making burgers at home is easier than you might think. And homemade burgers are definitely the best way to be sure of exactly what you are eating! 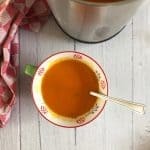 Once you get the hang of making them, and become familiar with a few burger recipes, you’ll never buy premade ones again! 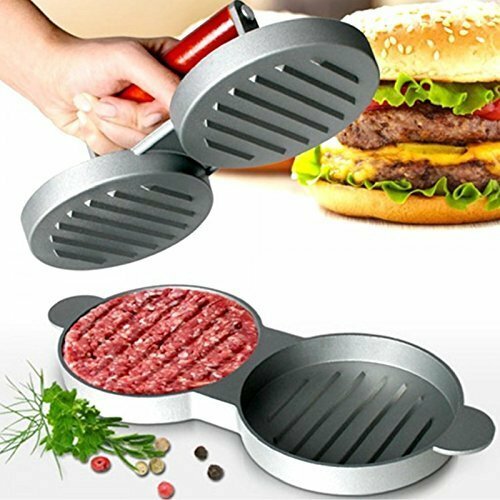 Which is where using a burger press is going to be your friend. 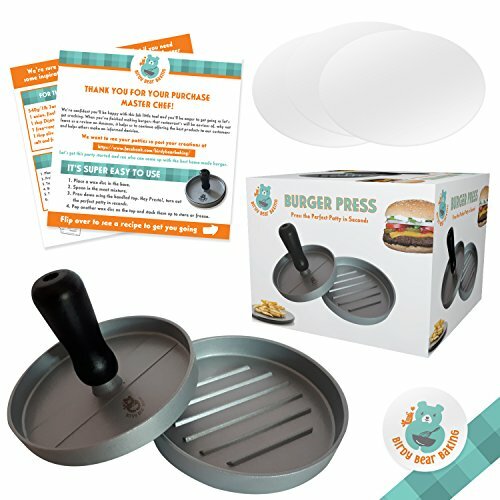 What Does A Burger Press Do? Essentially it does as the name suggests, it presses the burger. 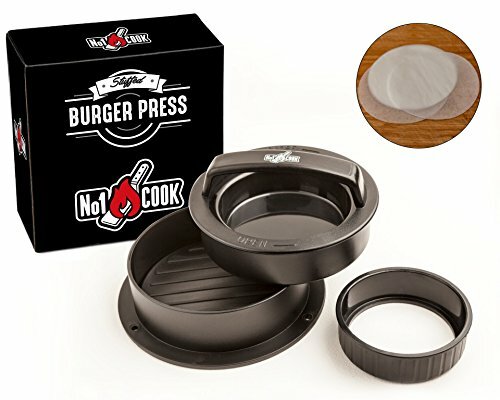 A burger press is a very simple gadget that is usually made out of either plastic or aluminium. My preference is for aluminium as it is more durable than plastic. 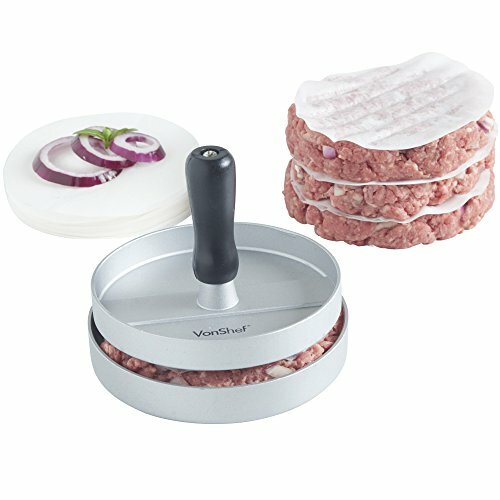 What Are The Benefits Of Using A Burger Press? 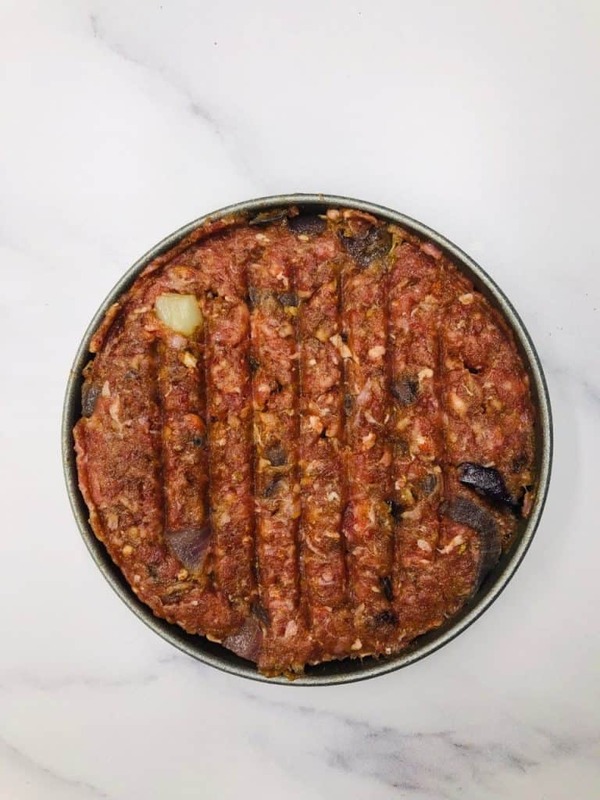 Material – check what the burger press is made from. It will usually be plastic or aluminium. My personal preference is for aluminium. Keeping it clean – is it dishwasher proof? If it isn’t, does this matter? To be fair, they’re not hard to wash up by hand, the mess should be minimal. 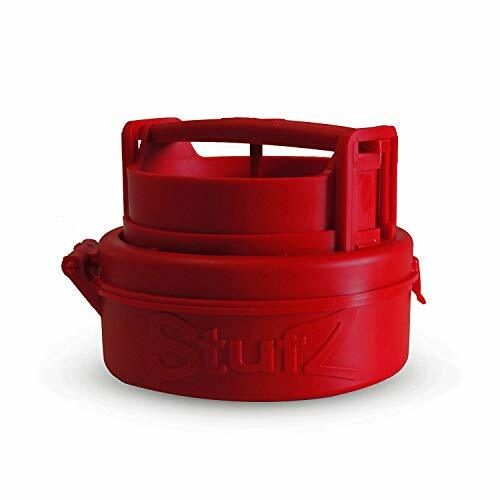 Non Stick – some kind of non stick coating on the burger press will help to prevent the patties from sticking. 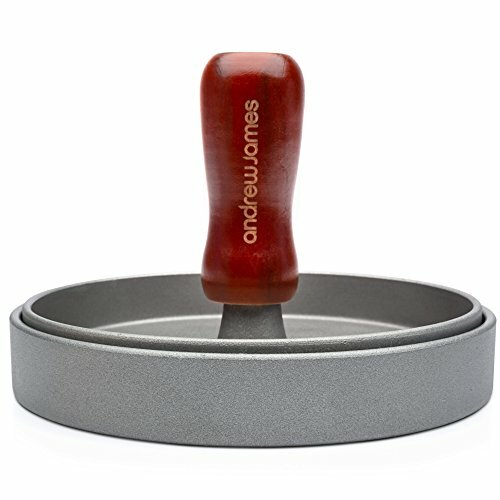 You can also use round parchment circles inside the press to further prevent sticking. 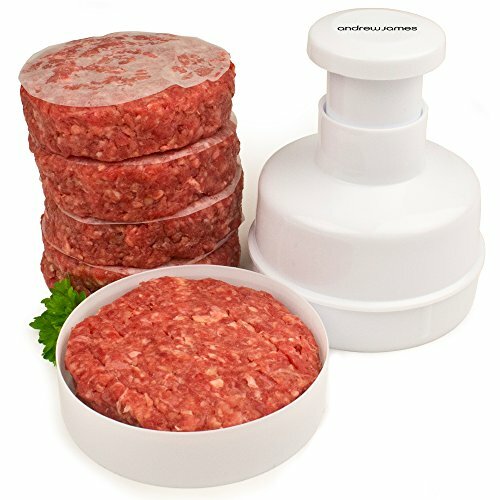 Some burger presses include this, but if not they are fairly cheap to buy. 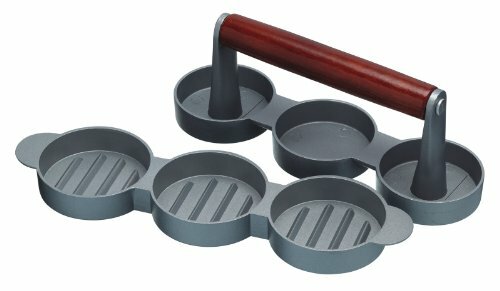 Ease Of Use – check what handle the burger press has. 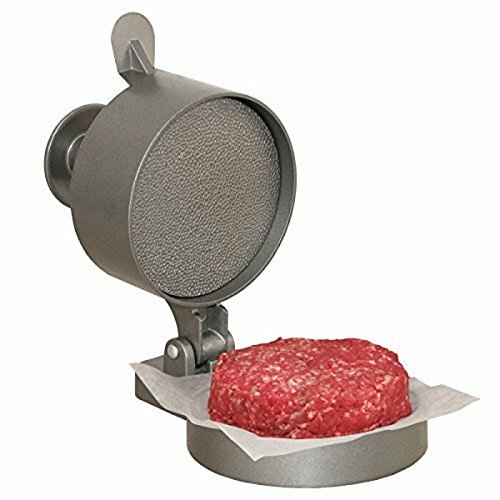 This is where you will be applying pressure to flatten the patty down. It will likely be either a handle that is curved over, or one that stand ups vertically. The great thing about making a burger at home is that you can get really creative when it comes to the ingredients! 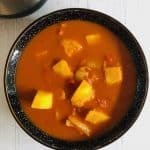 You will need to bind it together using a beaten egg. 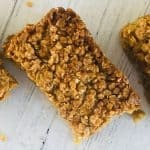 You can also use some breadcrumbs. Divide the mixture out into 4 equal portions. 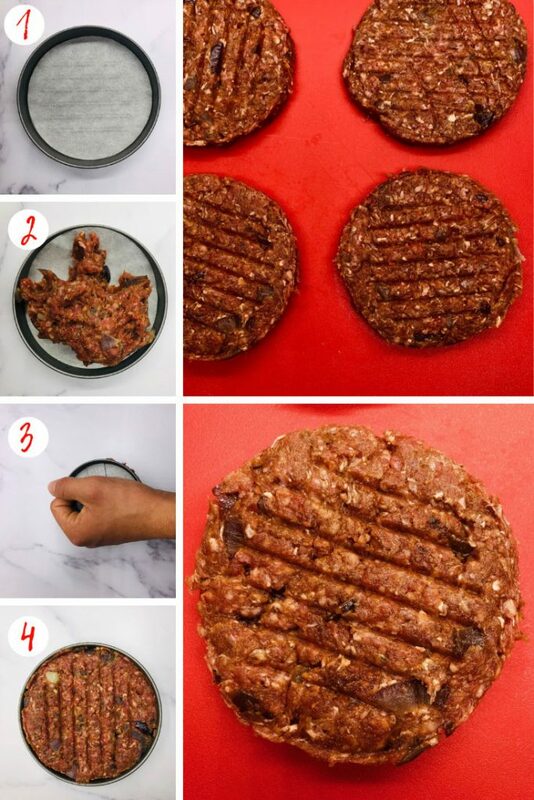 Put the first portion in the burger press and mould it. Repeat with the remaining 3 patties.